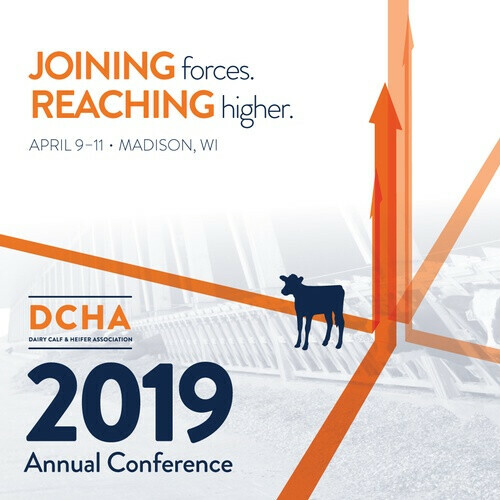 The Dairy Calf and Heifer Association (DCHA) will host its 2019 Annual Conference April 9-11, 2019, in Madison, Wis. The event will kick off with pre-conference farm and industry tours to the state-of-the-art calf facilities at ABS Global; and the all-in, all-out calf nursery barns at Crave Brothers Dairy Farm. Pre-conference seminars will focus on the benefits of colostrum, and managing fly control for growth and health. 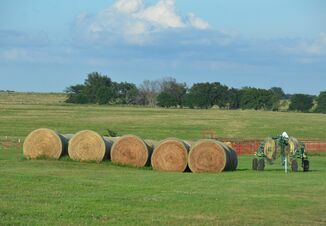 “A Growth Mindset on the Ranch Encompasses More Than the Health of Calves,” by Keith Poulsen, Wisconsin Veterinary Diagnostic Laboratory. “Increasing Your Operation’s Positive Impact on the Environment,” by Dennis Frame, Timber Ridge Consulting. 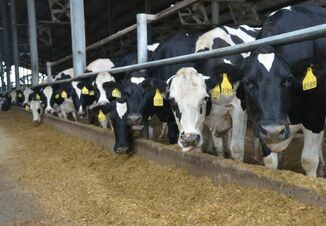 “The Business of Dairy Heifers: Quality, Labor, Cost, Risk Management,” by Jason Karszes, Cornell University. “Animal and Human Well-being: Outcome-based Management,” by Robert Hagevoort, New Mexico State University. “Thinking Outside the Bottle: Alternative Milk Sources for Calves,” by Bob James, Virginia Tech University. “Welfare of Dairy Calves and Heifers: Relevance to the Animal, the Producer and the Consumer,” by Jennifer Van Os, University of Wisconsin-Madison. Post-conference, wet-lab seminars will be available at the University of Wisconsin College of Veterinary Medicine. Dr. Don Sockett will demonstrate Deep Nasopharyngeal Swabs, and Dr. Theresa Ollivett will provide hands-on education on Lung Ultrasounds. The DCHA conference schedule also provides ample opportunities for attendees to take in the comprehensive commercial trade show, and to socialize with other calf and heifer raisers from across the country. More conference details and registration information can be found on the DCHA website.